AdamSea requires a comprehensive pre-purchase survey of every used vessel listed and sold on the site to protect both buyers and sellers from an unfortunate transaction and buying experience. But there are other types of inspections too. 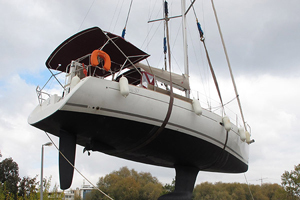 The pre-purchase survey is the most thorough inspection to be performed on boat, sailboat or other vessel. While it is mandatory for buyers to have the inspection conducted before the transaction is finalized, buyers frequently have one done as well before listing to learn about any potential problems and to remedy them before it is listed for sale. In this type of inspection, the surveyor will inspect the structural integrity, machinery, superstructure, fuel, electrical, and propulsion systems as well as other onboard systems. 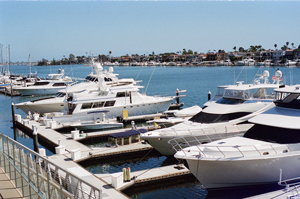 The checklist for this inspection complies with numerous regulations, including the Code of Federal Regulations, Coast Guard and international Boat and Yacht Councils. 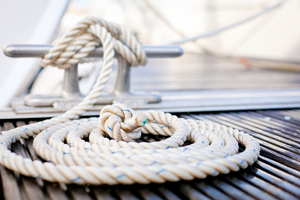 Insurance companies require an inspection to determine if insuring the boat, sailboat or vessel is an acceptable risk. 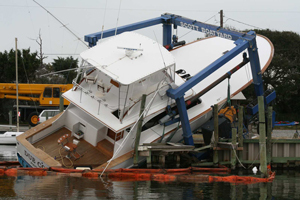 While the pre-purchase inspection is more complete, an insurance inspection also surveys the structural integrity and safety of the vessel, as well as suitability for the boat’s intended use. Differences include the fact that no sea test is required for an insurance inspection, although it is for purchasing, and the serial numbers for onboard electronics will be noted, but the devices will not be tested for working capability. An appraisal is a bit different than an inspection in that the purpose is to determine fair market value or to justify a price in the market. These are usually conducted for donations, legal cases, estate settlements or financing. The appraisal looks at general maintenance, equipment on board, the vessel’s overall condition, selling prices on similar vessels. The current economy is factored in as well. This inspection does not look so much for what is working correctly, but instead to place a value on the damage to the vessel and what does not operate as it should. This information is used to create an estimate on repair costs and help determine probable cause if necessary. AdamSea necessitates a Comprehensive Pre-Purchase Survey of every used vessel listed and sold on the website. This is essential to safeguard buyers and sellers from an inopportune transaction and buying experience.